Human Rights Day is observed every year on December 10. It’s a commemoration of the day on which, in 1948, the United Nations General Assembly adopted the Universal Declaration of Human Rights. The General Assembly followed up with a resolution in 1950 that invited all states and interested organizations to observe that day of each year as Human Rights Day. But it’s not just at international governmental levels where important cause-led campaigns are a priority. Earlier this year, at the Cannes Lions International Festival of Creativity, an event attended by around 11,000 delegates, one of the constant themes across many award-winning branding campaigns was that of having a purpose in your company’s marketing communications. One of the award winners at the Festival was a campaign called Fearless Girl run on behalf of the New York investment firm State Street Global Advisors, which involved the commissioning of a statue of girl of around 12 years old placed directly opposite Wall Street’s Charging Bull sculpture. The campaign was launched to tie in with the first International Women’s Day after President Trump’s inauguration in the US. The campaign aims at promoting gender diversity on Wall Street, while raising awareness among financial communities of State Street’s SHE fund, which invests in businesses with female executives. While the initial idea was to place the statue on Wall Street for just one week, according to Pablo Walker, president of McCann Worldgroup Europe, it has become so popular that they now hope to keep it there for at least a year. So why should businesses be concerned with such issues? To begin with, companies with a purpose beyond profit tend to make more money. In January 2016, Simon Caulkin of the Financial Times cited a survey from a combined team from Harvard Business Review Analytics and professional services firm EY’s Beacon institute. Entitled “The Business Case for Purpose,” the survey declared that “those companies able to harness the power of purpose to drive performance and profitability enjoy a distinct competitive advantage.” In his article covering the survey, Caulkin added that Jim Collins and Jerry Porras found when studying a group of “visionary” companies between 1926 and 1990 that those guided by a purpose beyond making money returned six times more to shareholders than explicitly profit-driven rivals. But while that might be the case for consumers, does having a purpose impact the business buying process too? The language industry serves as an interesting case study in this respect. There are tens of thousands of language service providers (LSPs) offering translation, localization, transcreation and interpreting services to clients across the world. Finding ways to differentiate themselves in such a competitive industry can prove difficult. It is imperative to understand the nature of their clients and their sectors. Clients more often choose a provider that understands their company spirit in addition to providing first-class quality language services. Indeed, this theory is backed up by buyers of language services. For example, Patrick Nunes, global communications manager at Rotary International, stated that while Rotary’s RFPs contain no official questions about an LSP’s corporate social responsibility (CSR) policy, it is something he personally wants to hear about when talking to them, whether in a formal or informal setting. While Nunes will not sacrifice attributes such as cost and efficiency in any supplier’s pitch, understanding their CSR policy could make a difference to him, particularly if it’s also in line with Rotary’s vision. This was a view shared by Franck Schneider, digital communications manager at Hôpitaux Universitaires de Genève (HUG), who is also responsible for sourcing translation. Given that HUG cares for many migrants, Schneider views CSR as an important argument, along with cost and quality, in understanding the offering of potential new LSP suppliers. However, said Schneider, not many of those he has met put CSR forward as an argument for choosing them. 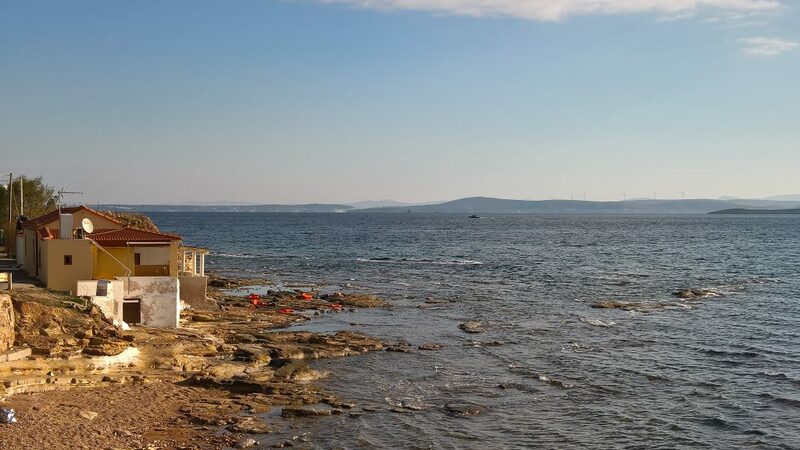 Off the coast of a refugee camp in Greece where TWB translated for refugees. Photo taken for TWB. That’s certainly the case for CPSL’s vendor manager, Cristina Pera, who said that the company’s community involvement with TWB makes her feel proud of the company she works for and that it makes her feel more connected to the company, too. As well as supporting TWB, CPSL works with the First Hand Foundation, an entrepreneurial foundation dedicated to changing the lives of children and families around the world through health and wellness programming. The contribution made by TWB sponsors is vital to supporting the sustainability of the organization’s core operations and programs. However, it’s the willingness of supporters to go the extra mile that its founder Lori Thicke would welcome. “Often LSPs that have extra capacity will offer project management support, helping to translate hundreds of thousands of words. We have had LSPs train our project managers, and also help fill the need for hard-to-source languages such as Rohingya, a current urgent need for the response to the refugee crisis in Bangladesh,” she said. Thicke added that of course the fun based fundraising activities that LSPs organize are important, but getting supporters interested and involved in this important work is great to see and it also helps to raise awareness of the importance of language agenda.